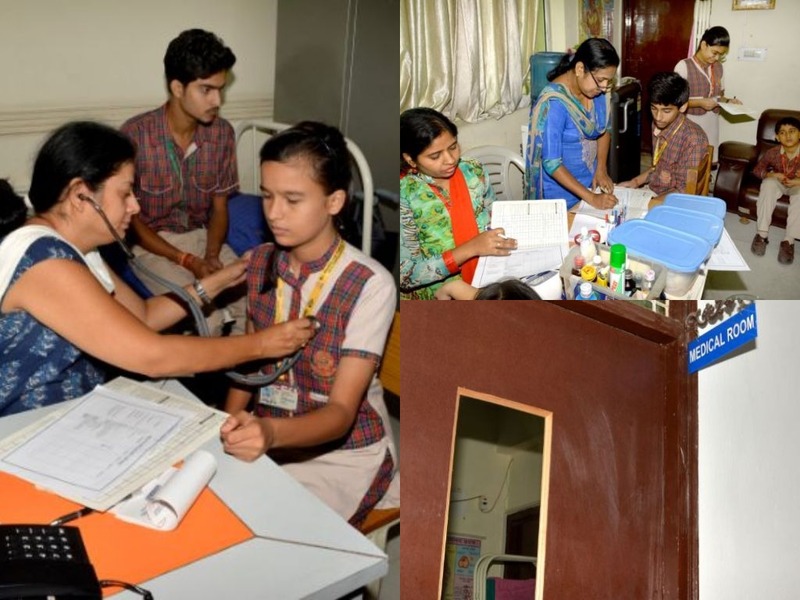 The Medical Room of the school is well equipped with the required medical equipments and has a qualified doctor, a trained nurse and a nursing attendant. First aid is provided in the Medical Room of the school. In case of emergency, the child is taken to the nearest hospital or nursing home and the parents are informed immediately.